There was widespread excitement last week on the news that Norway’s $1 trillion sovereign wealth fund has announced an intention to sell off its oil and gas holdings. This amounts to about 6 percent of the fund’s stockholdings, about $37 billion. Environmental activists, in particular, are delighted and expect this to trigger a broader sell-off in fossil fuels. They should hold the champagne. Bill McKibben, the founder of 350.org, called it “astonishing” and compared this to the Rockefellers divesting from fossil fuels. 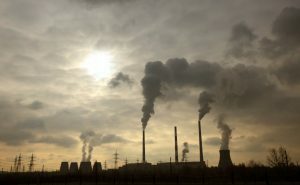 Paul Fisher, now at the Cambridge Institute for Sustainability Leadership, stated that the Fund is “no longer prepared to take the increasing risk associated with oil and gas assets, which do not have a long-term future.” Stephanie Pfeifer, head of the Institutional Investors Group of Climate Change said investors will look more closely at alignment with the low carbon transition. But there is less to the proposal than meets the eye. As someone who has been involved in the painfully slow changes to the Fund’s investment strategy for a decade (first as an adviser to Norway’s government and then through research), I can say with great confidence that the proposal does not go nearly that far. In making the proposal, the central bank is explicit in saying that it is not taking a stand on the future of oil and gas. The oil fund is run by Norges Bank Investment Management (NBIM), part of the central bank, but it is the finance ministry that sets the actual investment strategy. It has insisted that the fund be managed on a “standalone” basis and that NBIM closely track global stock and bond indices. The ministry, which has little financial expertise of its own, only allows NBIM an insignificant 1.25 percent deviation from these indices. This explains how the Oil Fund, so nicknamed because all of its income is derived from the sale of oil and gas, ended up with tens of billions of dollars worth of oil and gas stocks in the first place. To anyone with even a cursory knowledge of finance and economics, such a doubling up of exposure to a sector, especially one at a risk of serious disruption, is foolhardy. Add in future inflows of revenue into the fund, Norway’s financial exposure to its own oil major Statoil, and the fact that Norway’s stock market and domestic pension fund are also dominated by oil and gas sector stocks, and this foolhardiness begins to look like madness. The recent loss of over 50,000 jobs in the last oil price only serves to highlight how overexposed Norway as a whole is to oil and gas, which accounts for about a fifth of GDP and half of all exports. As the oil fund has nearly doubled in size over the past five years, the central bank has slowly added more expertise. Last year saw the appointment of deputy governor for NBIM, a belated effort to strengthen a rather weak governance structure and the inexplicable absence of a professional board. With this, Norges Bank’s board also announced that it would take a more sophisticated approach to risk management, saying last year that it planned to take “national wealth” perspective in risk management for the Fund. The decision to request the finance ministry, which must give its permission, to remove the oil and gas sector from its stock benchmark, is then simply the logical result of this “national wealth” perspective, a big improvement over the finance ministry’s “standalone” approach. I first suggested this to Norway’s government back in 2008 and then several times again since, but such things move at a glacial pace in Norway. Even now, it’s far from guaranteed that this sell-off will actually happen. The finance ministry has often vetoed sensible proposals from NBIM before, most recently its request to be given permission to invest in infrastructure, a natural asset class for such a long-term investor. Given the ministry’s closeness to the powerful oil and gas industry in Norway, it may veto the central bank yet again. The other reason environmentalists should not celebrate is that Norges Bank is very clear that this is not about climate risk. It is simply old-fashioned diversification. Good for Norway? Certainly. But not a sign that Norway has lost faith in oil and gas yet. Lest the environmentalists lose all hope, there is some good news. First, politics in Norway is such that this proposal would not have seen the light of day had there not been real concern about the viability of fossil fuels. Second, the next logical step, from the perspective of risk-diversification, is for the fund to increase its tiny $5 billion green investments. Third, expect other fossil fuel funded sovereign wealth funds to follow suit.